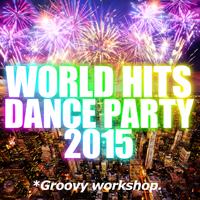 タイトル: WORLD HITS DANCE PARTY 2015 mixed by *Groovy workshop. アーティスト: V.A. 15 BOUNCE PARTY! / *Groovy workshop. 17 PYFHU / marc panther feat. *Groovy workshop.